Make yourself at home in one of the 87 guestrooms. Complimentary wireless Internet access is available to keep you connected. Bathrooms have showers and complimentary toiletries. Relax at the full-service spa, where you can enjoy massages, body treatments, and facials. You're sure to appreciate the recreational amenities, including an indoor pool, a sauna, and a fitness center. Additional features at this hotel include complimentary wireless Internet access, concierge services, and ski storage. Relax and unwind with massages and body treatments. After a day on the slopes, you can enjoy onsite recreational amenities such as a sauna. Additional features at this hotel include wireless Internet access (surcharge), an arcade/game room, and ski storage. Getting to nearby attractions is a breeze with the complimentary area shuttle. Pamper yourself with a visit to the spa, which offers massages and body treatments. You're sure to appreciate the convenience of ski-in/ski-out access at this hotel, which also features an indoor pool. This hotel also features complimentary wireless Internet access, concierge services, and ski storage. When you stay at Hôtel Les Suites du Montana in Tignes, you'll be near ski lifts, just steps from Tignes Ski Resort and 13 minutes by foot from Val-d'Isere Ski Resort. 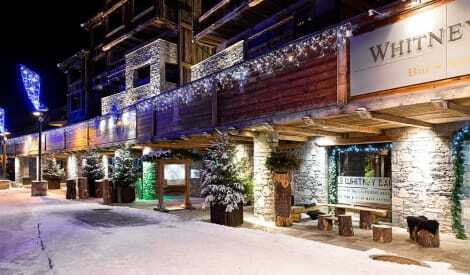 This 5-star hotel is 10 mi (16.1 km) from Gran Paradiso National Park and 25.3 mi (40.7 km) from Les Arcs. With a stay at Hôtel Club mmv Les Brévières in Tignes, you'll be near ski lifts, within a 15-minute drive of Tignes Ski Resort and Aeroski Gondola. 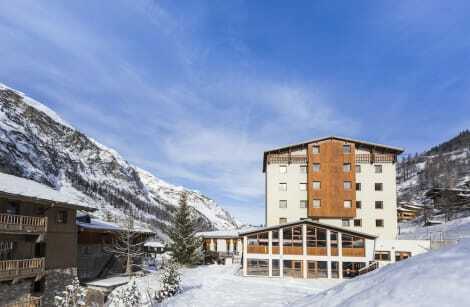 This 4-star holiday park is 5.3 mi (8.6 km) from Val-d'Isere Ski Resort and 8.7 mi (13.9 km) from Gran Paradiso National Park. Make yourself at home in one of the 43 guestrooms, featuring kitchenettes with refrigerators and stovetops. Rooms have private furnished balconies. Flat-screen televisions with digital programming provide entertainment, while complimentary wireless Internet access keeps you connected. Conveniences include microwaves and coffee/tea makers, and you can also request irons/ironing boards. This comfortable hotel is in Tignes. The total number of guests rooms is 40. No pets are allowed on the premises. Wrap up your day with a drink at the bar/lounge. A complimentary hot/cold buffet breakfast is served daily from 7:30 AM to 10 AM. Tignes is a ski resort in the Tarentaise Valley, in the Rhône-Alpes region of south-eastern France. Together with Val d'Isère, the resort forms the Espace Killy ski area, which has over 2,000km of pistes. But Tignes is not just about the winter, in the summer it is a mecca for hikers and mountain bikers. As a result, Tignes hotels offer the perfect base for an unforgetSEOSITE_LEVEL_DESCRIPTION holiday. Due to its close proximity and relationship with the resort of Val d'Isère, only one ski pass is needed to access the slopes in whole of the Espace Killy. The area also includes the resort of Val-Claret and a pass usually costs around €200. With that €200, you are getting access to about 2,300km of pistes. Of this about 26km is serviced daily by snowmaking equipment, to make them smoother rides. The area is famous for its heavy snowfall and all this adds up to make Lignes a skier's paradise. There are many rental and ski schools in the town but one of the best is Tignes Spirit, well it certainly has the best name. The shop offers ski and snowboard hire at very reasonable prices and also offers snowmobile rental. Due to its stunning views of the Alps and good weather, Tignes is not just for the snow-heads. During the summer months the snow at ground level disappears and the forests around the village become ideal for hiking. Another group who descend on Tignes in the summer is mountain bikers. The lifts open up for their use and there are eight different biking tracks ranging in difficulty from easy to hard. All of the routes descend through amazing scenery. After a day of skiing or mountain biking, you are sure to feel hungry. Luckily Tignes has some great restaurants serving up all types of cuisine. For a good-value traditional meal head to Le Grenier, in the centre of Le Lavachet. If you're after something a bit more formal, L'Armailly is a wonderful little place with excellent fish and some pretty good pizza as well. And for a very special occasion, La SEOSITE_LEVEL_DESCRIPTION en Montagne, in the five-star Hotel Suites de Nevada, is a highly rated restaurant which serves up modern French cuisine in a lavish environment. After dinner, head to Le Couloir Bar, to dance the night away to live music or one of their fantastic DJs.